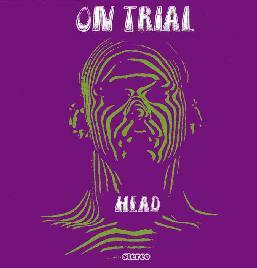 This is a CD collection of cover songs by the Danish Psych band, On Trial. These tracks have all appeared on the different vinyl versions of the Head 10". Also included are studio outtakes from the Blind By The Sun sessions and the Parchment Farm 7" record. This collection is much more psychedelic than the recent Baby Woodrose cover record, Dropout. Like Baby Woodrose, On Trial (Guf of Baby Woodrose, his first band), they cover LOVE and 13th Floor Elevators and the Stooges. Some of my favorite covers on the CD are "5 Years Ahead Of My Time" by the Third Bardo (also covered by Monster Magnet but On Trial had been playing it years ago! ), "Signed DC" (LOVE) and "Interstellar Overdrive" by Pink Floyd (A very psychedelic version!). This is an essential psych rock release with great dual guitars and spaced out sounds.